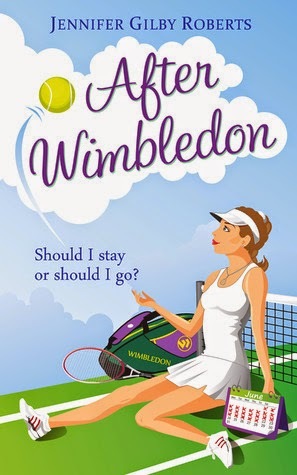 After Wimbledon was a tightly written novel with lots of character set up and plot movement. I loved the way it was succinctly written and noticed a difference in the writing from Roberts’ previous novel, The Dr Pepper Prophecies, which I also read this year. After Wimbledon drew me into the world of competitive professional tennis (something my sports-void brain had never given much thought) in a way that didn’t overpower the relationships being established and grown throughout the plot. It was fun to read the intensity of the matches, how the players lived their lives around such grueling sets and how they continued to make their lives work around their profession. For some reason I assumed professionals in such fields went to bed at 7pm and never went anywhere during their season- silly me. I found Lucy realistic, she didn’t seem overly pretentious or unreachable and I liked that her regular routine involved practicing at her parents’ tennis club and not some fancy country club. The author also gave us two men to love/hate without too much ambiguity so it’s wasn’t a shock ending but I did really enjoy the path to the one she was meant to be with. I liked that there was tension and confusion without the feeling of wanting to poke myself in the eye with frustration- just the right amount of round about turns in the love department. I was also pleased with the interactions with the secondary personalities-just enough development to make it feel plausible without them taking away from the main story or feeling like they were there without purpose. I really liked the reporter/friend who pushed for the scandalous story but also turned out to be a good friend to Lucy and I adored her old tennis partner. They both gave light and heart to Lucy. But I’m still a bit frustrated with Lucy’s mother and wish there had been a bit of closure in their relationship. After Wimbledon was a quick and fun read with some interesting glimpses into the professional tennis world and I just loved the characters! You're welcome- I loved it!